Cluster munitions: breaching the firewall? Tuesday's post on 'civil society schizophrenia' seems to have struck a chord. Apart from some insightful comments, which you can read, I've also received a number of emails from NGOs telling me that they are as puzzled as I am at the different levels of formal integration of civil society into multilateral processes of disarmament and arms control; from the Nuclear Non-Proliferation Treaty to the Anti-Personnel Mine Ban Convention. Some have suggested interesting explanations for this phenomenon. For example, Piers suggests that, although the diplomats dealing with all of these issues may generally be the same people, perhaps the NGOs are not. In other words, might not different levels of acceptability (to governments) of issue-specific NGOs explain the different levels of formal civil society integration across these issue-areas? Daniel Feakes points out, however, that the same NGOs that deal with biological weapons issues also tend to deal with chemical weapons issues but that the Chemical Weapons Convention (CWC) is decidedly more restrictive than the Biological Weapons Convention when it comes to granting formal roles to civil society. WMD vs. Conventional Weapons: A first-cut explanation derives from the blatantly obvious observation that weapons of mass destruction (WMD) are located at the left of the scale while conventional weapons are on the right. The Conference on Disarmament deals with non-WMD issues as well, of course, but three of its four current priorities are WMD-related - banning the production of fissile material for nuclear weapons, assuring non-nuclear weapon States that they will not be threatened or attacked with nuclear weapons, and nuclear disarmament. It is surely not a coincidence that the CD, NPT, CWC and BWC all appear next to one other on the left of the scale. Could it be that States 'trust' or see a role for civil society when it comes to conventional weapons issues, but not when it comes to WMD? Potential vs. Actual Humanitarian Impact: The scale separates out, on the left, WMD with catastrophic potential humanitarian impacts from, on the right, conventional weapons with huge actual (and demonstrable) humanitarian impacts. We should of course never forget that nuclear, chemical and biological weapons have all been used in the past with devastating consequences. Chemical and biological weapons are banned, however, and nuclear weapons have not been used against humans since 1945. Guns, cluster munitions and mines, on the other hand, claim hundreds of thousands of human lives every year. They also maim, impoverish and condemn whole communities and regions to perpetual underdevelopment. Could it be that the more immediate and visible is the humanitarian impact of a weapons system, the easier it is for NGOs to integrate themselves into formal multilateral processes? Old vs. New: It is interesting to note that, generally speaking, as one moves along the scale from left to right, the issues (or institutions) tend to become newer. The Conference on Disarmament can trace its origins back to the Ten-Nation Committee on Disarmament of the late 1950s. On the opposite end of the scale, negotiations on the Ottawa Convention were completed in 1997. The time scale does not hold for all issues - e.g. the CWC post-dates the BWC by two decades and the CCW is older than the PoA - but a general trend is recognisable. Could it be that the more recently a multilateral process on disarmament and arms control is institutionalised, the more likely it is for civil society to be well integrated? Geneva vs. the Hague (vs. New York): In his comment on Tuesday's post, Daniel Feakes attributed the difference between civil society integration in the BWC and the CWC to "cultural" differences between Geneva and the Hague. He pointed out that, "in Geneva, despite the restrictiveness of the CD, diplomats are fairly used to interacting with NGOs and with NGOs being around in the Palais [UN building]. In The Hague, most diplomats are bilateralists rather than multilateralists and seem to be less used to having NGOs around." This, in my view, is a very important point. There are also cultural differences between Geneva and New York when it comes to the way in which multilateral disarmament processes are conducted (see our earlier posting on "Is there a Geneva / New York Divide?). Could it be that the place in which a multilateral disarmament process is created and maintained can influence the degree of integration of civil society? This is just a first attempt to explain why we observe different levels of formal civil society integration across different issue-areas of multilateral disarmament and arms control. None of the above tentative explanations is satisfactory on its own but, taken together, they begin to make sense (at least to me). Please do let me know, by using the comments function at the bottom of this post, if you can discern any other patterns from the SCSI tealeaves. With your help, we'll crack this one yet. 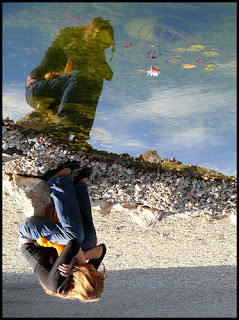 Photo Credit: 'Schizophrenia' by LILLAjija on Flickr. Last week in Wellington, 122 States slogged it out with each other and with the now formidable Cluster Munitions Coalition of NGOs to agree a draft text that will serve as the basis for negotiations on a new Cluster Munitions Convention. 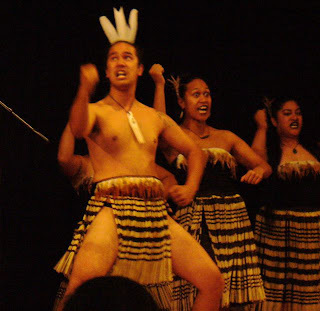 NGOs were present in Wellington's Town Hall for the entire duration of the conference. They intervened at will in the discussions and openly criticized certain States for attempting to weaken the Wellington text. NGOs provided valuable inputs to the debates based on sound research, interpretation of evidence and testimony of victims. In short, civil society was an integral, dynamic and vital element of the Wellington conference that influenced the outcome of the meeting. Compare this with what happens in the Conference on Disarmament, another negotiating forum that features regularly on this blog. One NGO - the Women's International League for Peace and Freedom - has one opportunity each year to address the Conference; on March 8, International Women's Day. But they may not do so themselves. They must pass their statement, drafted by a separate conference of women's NGOs from around the world, to an official of the Conference, invariably a man, to read out while they observe in frustration from the public gallery. This dismal situation has at least created some comic relief in the past, such as the occasion a few years ago when the (male) Deputy Secretary-General of the Conference began reading the statement with the ringing words, "We, the women of the world..."
The thing that really puzzles me, however, is that the diplomats who engaged, argued and strategised with NGOs at last week's Wellington Conference on cluster munitions and those who routinely acquiesce to the Conference on Disarmament's almost reflexive exclusion of civil society are, for the most part, the same people. How can this be? Is there some special module in training courses for disarmament diplomats that help them to deal with the cognitive dissonance that this must create? Or, does it actually help a disarmament diplomat's career to be a just a little bit schizophrenic? (1) The Conference on Disarmament, (2) the Nuclear Non-Proliferation Treaty, (3) the Biological Weapons Convention, (4) the UN Programme of Action on the Illict Trade in Small Arms and Light Weapons, (5) the Convention on Certain Convention Weapons, (6), the Oslo Process on cluster munitions and (7) the gold standard of civil society integration; the Anti-Personnel Mine Ban Convention (Ottawa Convention). I feel unqualified to place the Chemical Weapons Convention in this ranking since, as an exclusively Hague-based process, I have no direct experience of it (perhaps readers can enlighten me?). It also remains to be seen where negotiations on an Arms Trade Treaty, when they begin, might fit into this scheme (although, based purely on the impressive role civil society, in the form of the Control Arms campaign, has played to date, it should score quite high). Any such ranking cannot be set in stone, however. As an illustration of this, recent experiments with enhanced NGO and industry integration into the Biological Weapons Convention process could, if they are continued, eventually lead the BWC to overtake the UN small arms process, which seems unable to move beyond a rudimentary openness to NGOs despite the vast amounts of research, field work and policy advice being churned out by civil society on this issue. Also, to their credit, a number of States in the Conference on Disarmament do regularly complain about the exclusion of NGOs from their work. As a direct result of this, the CD decided recently to devote one half-day session per year to NGOs; but only after the Conference has been able to reach agreement on a programme of work, something that has eluded it now for more than ten years. This concession, hard-fought though it was, hardly moves the CD out of its pole position in my ranking. It is a mystery to me how the Conference on Disarmament and the Oslo Process on cluster munitions can exist in the same universe. It baffles me even more that they can be populated by the same diplomats. Remaining unfazed in the face of such inconsistency regarding civil society integration takes special skill. 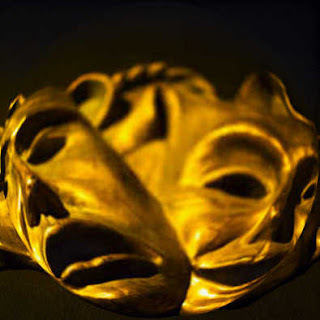 Or a split personality. Photo Credit: 'Schizophrenia_01' by dogsivu on Flickr. This week, 122 states met as part of the Oslo Process in Wellington, New Zealand, for a conference on addressing the humanitarian impacts of cluster munitions. The meeting, which concluded today, was widely hailed as a success. 72 countries present spoke up to explicitly endorse the Wellington Conference Declaration, with other states certain to follow in the weeks and months before Dublin. Wellington represents a crucial stage in the Oslo Process. Over the last year a 'core group' of countries (Austria, the Holy See, Mexico, Ireland New Zealand, Norway and Peru) has managed the process of developing a discussion text, which has become a "Draft Cluster Munitions Convention". That document was the focus of this week's talks. The hope was that, at the end of the meeting, states would associate themselves with the "Wellington Declaration", which a government must do if it wants to be admitted to formal negotiations in Ireland in the second half of May. Attached to the Declaration would be the draft Convention - perhaps revised to reflect Wellington discussions. And the Dublin Conference's draft rules of procedure would also be presented. "also welcome the important work done by participants engaged in the cluster munitions on the text of a draft Cluster Munitions Convention, dated 21 January 2008, which contains the essential elements identified above and decide to forward it as the basic proposal for consideration at the Dublin Diplomatic Conference, together with other relevant proposals including those contained in the compendium attached to this Declaration and those which may be put forward there". Some, including myself, were slightly surprised that all countries, especially the so-called like-mindeds (a loose grouping including Australia, Canada, Czech Republic, Denmark, Finland, France, Germany, Italy, Netherlands, Sweden, Switzerland and the UK) went along with this option. In our interpretation, if it went to a vote in Dublin (a matter of last resort), a two-thirds majority would be needed to change the draft Convention. Such a scenario, while not necessarily likely as all involved will do their best to avoid a voting situation, is certainly not impossible. In other words, to my way of thinking at least, the draft Convention is behind the firewall I described yesterday, while the compendium is not. That's why today's statements by many states were informative. While the great majority of the 72 states who spoke up endorsed the Wellington Declaration unreservedly, 15 (Canada, UK, Denmark, Switzerland, Germany, France, Netherlands, Australia, Finland, Lithuania, Italy, Japan, Hungary, Slovakia and the Czech Republic in speaking order) introduced a caveat. These 15 spoke of their disappointment at a perceived lack of transparency in this week's maneuvering, and said they associated themselves with the Wellington Declaration on the understanding that the draft Convention text and the compendium would have equal standing in Dublin. This is not my understanding of the draft Dublin rules of procedure, which make a distinction between the "basic proposal" (rule 31) - stated as the draft Convention - and "other proposals" (rule 32). I'm not a lawyer, but it implies to me a difference in status. We'll see how this is clarified in Dublin, probably as part of the agreement process on the rules of procedure themselves. 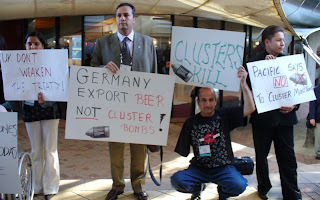 Meanwhile, there was unprecedentedly trenchant criticism from Canada of NGO Cluster Munition Coalition pressure on certain "like-minded" governments on the margins of the Conference through demonstrations and negative media coverage. This is significant because Canada is known as very civil society friendly - and of course it worked closely with NGOs at the forefront of the anti-personnel mine ban process more than a decade ago and ever since. Canada said that vilifying accusations made about it and others (like Australia) were "unfounded and unfair", such as the charge it was covering for Oslo non-participants such as the U.S., which it denied. It is possible some of the like-mindeds might seek to do what they can to limit NGO involvement in Dublin. None of this can obscure what is an achievement all involved in the Oslo Process can be satisfied with. Despite some sledging of the core-group by the so-called like-mindeds, and of the like-mindeds by some developing countries who don't want the types of exemptions to a ban on cluster munitions they're advocating, the Conference outcome has surpassed expectations. All of the like-mindeds, who had been rumbling about walking out earlier in the week associated themselves with the Declaration, including Australia, Canada, France, Germany, Italy, Japan and Sweden. Even Denmark (current Chair of the CCW process in Geneva) and Finland joined in. As the ICRC commented toward the end of the final session, look how far we've come. Photo by author. From left to right are Charlotte Darlow of the New Zealand delegation with Ambassador Don Mackay, Chair of the Wellington Conference, and Irish Ambassador Daithi O'Ceallaigh, Chair-Designate of the upcoming Dublin Conference. Most documents I mentioned have already appeared on the New Zealand Government's Wellington Conference website. The Irish Government's Dublin Conference website should be operational from 1 March, at: <www.clustermunitionsdublin.ie>. This week I've been reporting on the Wellington Conference on cluster munitions, as regular readers of this blog no doubt know. Many of the discussions at the Conference, both in plenary and in accompanying informal consultations on tricky issues like defining unacceptable cluster munitions and military inter-operability, are highly technical. To the uninitiated these talks are a morass of acronyms and legal or diplomatic-speak. 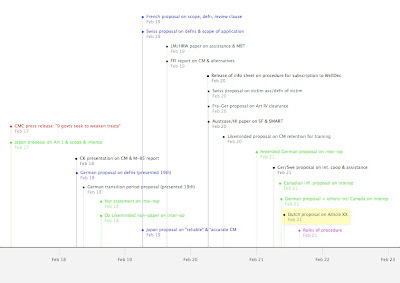 And, as the (incomplete) timeline I prepared above shows, there have been many written proposals and other documents circulated. Tomorrow, New Zealand as Chair of the Conference will try to bring it to a successful conclusion, in readiness for formal negotiations on the draft Convention in Dublin, Ireland, in the second half of May. This, as I'll explain, will be a delicate task. The Oslo core-group of countries are seeking to take a leaf out of the Ottawa Process toward a treaty banning anti-personnel mines more than a decade ago. Way back then, a conference in Brussels paved the way for negotiations in Oslo in September 1997 by agreeing on several key documents. The first was a text on which the negotiations in Oslo would be based. The second were rules of procedure governing how decisions there would be made: crucially, a significant majority would be needed to change the draft text in Oslo, which differ from the peculiar consensus rule in disarmament bodies like the Conference on Disarmament. Third, there was the so-called Brussels Declaration - the 'ticket to ride' for individual states to be admitted to the Oslo negotiation. Essentially, the Declaration committed those states subscribing to it to accept the text as the basis for negotiation and the rules of procedure on which it could be amended. The rolling assemblage of ideas co-ordinated by the Oslo Process core-group, based on the February 2007 Oslo Declaration and influenced by inputs from countries in international meetings in Lima (May) and Vienna (December) evolved into the Wellington draft Convention text by early this year. It and the Wellington Declaration were made available in late January. The Wellington Declaration is intended to be the Oslo Process's equivalent of the Brussels Declaration. And, late today, draft rules of procedure were circulated, closely based on those for the Oslo negotiations, to be adopted in Dublin. What does all of it mean? It appears likely that the Oslo core-group will choose not to revise the existing Wellington text of 21 January before the end of this week's Conference. Nevertheless, a group of states in military alliances with the United States have been pushing hard for their proposals, in particular on exemptions to a ban on cluster munitions, on inter-operability and to try to secure transition periods during which they can still use cluster munitions before phasing them out in favour of alternative weapon systems, as I previously reported. This loose grouping includes Australia, Canada, Czech Republic, Denmark, Finland, France, Germany, Italy, Netherlands, Sweden, Switzerland and the UK. Many other states are opposed to these various proposals on a variety of grounds, as they feel the eventual treaty would be weakened. At times and on certain issues, the tone of informal discussions this week have become antagonistic. Without over-stating the extent of difficulties - none of which in substance seem insurmountable - some of these self-styled "like-mindeds" have threatened that they might walk out of the Oslo Process. They want to penetrate the 'firewall' between general discussion at the Conference - in which the co-chairs listen to everyone's proposals and try to balance these views in their revisions of text - to see their written proposals directly expressed in text in a revised draft treaty document. This means such proposals would be difficult to remove or amend in Dublin, even though many of these proposals are minority views among the roughly 120 national delegations present in Wellington. And it raises important issues of equity: some core-group diplomats privately feared that if they took such proposals on board from certain countries on certain still-contested issues, it would become an open slather. The likely compromise is the Wellington Declaration appending the existing draft Convention text alongside a compendium of existing additional proposals to amend. The majority of written proposals submitted this week are from European countries such as France, Germany and the UK, as well as Australia, Canada and Japan. Core-group countries themselves, such as Norway have also submitted ideas in writing. Would this be "less bad" enough to mollify the so-called like-mindeds, at least for now? It remains to be seen. I don't think major Western democracies like the so-called like-mindeds want to walk away, however. And there were indeed many subtle signs today that a Wellington Declaration appending the existing draft Convention text as well as a compendium of existing additional proposals to amend it might be the tonic. At root, what is at issue are not differences of fundamental preference over prohibiting cluster munitions "that cause unacceptable harm to civilians", but disagreements over instrumental preference (the 'means' rather than 'ends'). I'll let you know of tomorrow's outcome. Most proposals and other documents mentioned are available at the Wellington Conference website. Hopefully, the Dublin draft rules of procedure should be up there soon too. 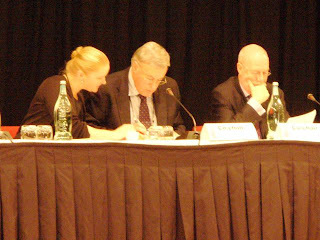 It's well after midnight here New Zealand time, so this blog is just a brief one to outline some of what happened today at the Wellington Conference on cluster munitions, which is part of the Oslo Process. Today, in the plenary, there were sessions on mine clearance in the morning and victim assistance in the afternoon. As worthy and substantive as these issues were, I spent the day with many others in a smaller side chamber (well, upstairs in the Wellington Town Hall, actually) attending informal consultations on Article 2 of the draft Convention text. Although exploring potential bases for exemptions further such as reliability, quantity, self-destruct/self-neutralization and other criteria further, no-one's positions seemed to have changed. And things became quite testy at the end of the morning when France, supported by the UK and Netherlands, demanded that their proposals be included in any subsequent revised draft Convention this week. Under considerable pressure, Ambassador Mackay (to his credit, in my opinion) refused to make any such commitment - on the basis that none of their proposals commanded agreement. Their response was, of course, that neither does the text currently in the draft. Bah humbug. Interested delegations returned to the small room in the afternoon (in parallel to the main sessions), this time chaired by Ambassador Pablo Macedo of Mexico. Sensing the tension in the room, Macedo approached consultations on the other draft definitions in Article 2 with a light, humorous touch. There was also discussion of possible transition periods for states parties with cluster munitions to find humane alternatives to the weapon after joining the treaty - although states are far from agreement over the advisability of this. It remains to be seen what impact this will have. What is certain is that the core group will face difficult tactical choices as to how they will proceed in terms of revised text and presenting the Wellington Declaration on Friday. 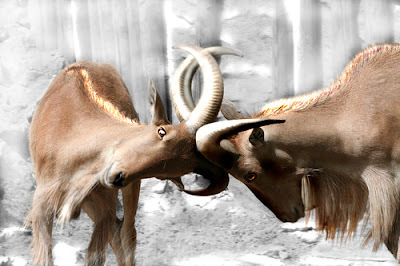 Nevertheless, it is too early to say what will happen: informal consultations resume early tomorrow morning on interoperability, so I had better sign off and go beddie-byes. Photo of demonstration by cluster munition campaigners outside the Wellington Town Hall today by author. Laid back, like (most) of Wellington on a sunny, summer day. Today's discussions at the Wellington Conference on cluster munitions - part of the Oslo Process to negotiate a treaty to address the humanitarian impacts of cluster munitions - got down to the nitty gritty on two key issues: definitions and military inter-operability. Informal consultations commencing at 8a.m. this morning tackled inter-operability: how and whether the prospective treaty on cluster munitions will set rules for military joint-operations between countries with differing legal obligations. In plain language, this is about what the obligations will be for member states working in military alliances with non-members - including questions of state and individual criminal liability if non-member states use cluster munitions in those operations. It also potentially applies to multinational interventions such as UN peace keeping or enforcement operations. It is fair to say that while these consultations (which resumed at the end of the afternoon for a while, after the conference's formal discussions concluded) generated plenty of proposals, there was perhaps more heat than light. As well as the Australian and Japanese proposals mentioned in yesterday's blog, there were a number of other ideas put forward, including from France and Norway. This issue has taken on such importance because NATO countries and other American allies in particular claim that adequate specific provisions in a draft treaty will be a deal-breaker for them. They are clamouring loudly to see their proposals reflected in a revised Wellington text by the end of this week. Meanwhile, in the formal plenary, the theme of the day was Article II of the draft Convention - on definitions, the most central issue to be settled in the Dublin negotiation. There isn't space here to recap these discussions (and it is nearly midnight New Zealand time) but views fall broadly into two groups. The first is a group of mainly Western countries who would like multiple exemptions to a general prohibition on cluster munitions based largely on technical characteristics (such as sensor fuzing, quantity per munition, self-destruct/self-neutralization features or/and alleged submunition reliability ). The second group is a large bunch of states, including the Oslo 'core-group' states, and many mainly developing countries, which are unconvinced that exemptions based on such technical characteristics are a good idea. In fact. many are adamant that, on humanitarian grounds, all cluster munitions should be banned and said so today. Tomorrow, informal consultations on definitions in the margins commence, following on from today's floor discussions, while the formal conference session advances to other (less contentious articles) of the draft Convention text. "It doesn't matter if the M-85 [cluster submunition with a self-destruct feature used by Israel in South Lebanon in 2007 and British forces in Iraq in 2003] was hewn from a solid block of platinum and lovingly assembled by virgins: it would still fail. And you can't get virgins in the UK anymore anyway." Colin is British, so one presumes he knows about these things. The UK delegation did not comment. I'll keep you posted in coming days as discussion continues. Most proposals and statements mentioned are appearing on the New Zealand Government's Wellington Conference website. The Aotearoa Cluster Munition Coalition website is also a useful resource. Cluster bomb poster for the Wellington Conference courtesy of the Aotearoa Cluster Munition Coalition. Today, the Wellington Conference on addressing the humanitarian impacts of cluster munitions commenced - the last milestone on the way to negotiations on a treaty in Dublin in May as the culmination of the so-called Oslo Process we've followed over the last year on this blog. Wellington represents a crucial stage in the Oslo Process. Over the last year a 'core group' of countries (Austria, the Holy See, Mexico, Ireland New Zealand, Norway and Peru) has managed the process of developing a discussion text, which has become a "Draft Cluster Munitions Convention". That document is the focus of this week's talks, and at the end of the meeting states will be asked to associate themselves with the "Wellington Declaration", which a government must do if it wants to be admitted to formal negotiations in Ireland in the second half of May. It all sounds straightforward enough. But there are some obstacles to be navigated. How cluster munitions and explosive submunitions that "cause unacceptable harm to civilians" (and which will be banned) are to be defined has yet to be finalized. Sorting out understandings on military interoperability between prospective states parties to a cluster munition treaty and alliance partners not party is a concern for many. And a number of European states, in particular, vented their unhappiness that, while the Oslo Process has moved gratifyingly quickly, they feel it has not been as open and transparent as they would like. It is thinly veiled criticism that they don't feel enough of their proposals have not been taken on-board. Much of this come out during this afternoon's first substantive session, discussing Article 1 of the draft text on general obligations and scope of application of the eventual treaty's prohibitions. A number of proposals emerged, including to link Article 1 more closely with Article 2 which is where the definition will reside (Switzerland), and various papers including non-papers from Japan (proposing extensive textual modifications) and Australia focusing on the interoperability issue and co-sponsored by Canada, Czech Republic, Denmark, Finland, France, Germany, Italy, Netherlands, Sweden, Switzerland and the UK. The latter non-paper raises a number of useful issues by offering case studies, although few ideas were put forward on the floor today about how these concerns will be translated into practical solutions. But it is early days yet. The core-group are following the approach they used in Vienna, which is to allow a full airing of each sequential article. For them, this is a bit like going to the dentist: not much fun to sit through, but necessary all the same. Tomorrow these discussions continue, with attention moving to Article 2 on definitions, which promises similar fireworks. "We are getting to the hard end of the Oslo Process. The conference this week represents a crucial stepping stone to our final objective. As we get closer to concluding a new convention, we will need to work hard to reach agreement on some key issues. I urge you to work in the spirit of constructive engagement towards the result all of us desire – a strong and effective treaty with wide support. I would encourage states to remain open-minded on solutions and possible outcomes. We should all endeavour to build on common ground and find ways to bridge the areas of difference." I'll keep you posted in coming days as discussion continues. Most documents I mentioned have already appeared on the New Zealand Government's Wellington Conference website. Having been quoted in Wednesday's New York Times and International Herald Tribune in connection with the presentation by Russia and China this week of a draft treaty to prevent the placement of weapons in outer space, I've been inundated by calls from journalists asking me to explain the significance of the move, Washington's negative reaction to it, and the likelihood that this development could break the long-standing deadlock in the Conference on Disarmament. So, how significant was this? Short answer: quite significant but not at all surprising. Preventing an arms race in outer space has been on the agenda of the Conference on Disarmament (CD) since 1982. Russia and China, together with five other States, presented elements of this draft treaty to the Conference back in 2002. The issue has been the subject of especially intense debate in the CD over the last 2 years. The presentation of the draft treaty by Russian Foreign Minister Sergey Lavrov on Tuesday was simply the culmination of efforts stretching back over 25 years. The move was significant, though, insofar as it was the first official presentation of a draft treaty on outer space to the Conference on Disarmament and served to increase pressure on the body to overcome its decade-long deadlock. This move by Russia mirrors a similar move by the United States in 2006 when it presented to the Conference on Disarmament a draft treaty to ban the production of fissile material for nuclear weapons. The Conference now has two draft treaties on the table (and is unable to begin work on either). The current plan to break the deadlock in the CD involves four elements: Negotiations on a treaty on fissile material for nuclear weapons and substantive discussions on three other issues - preventing an arms race in outer space, nuclear disarmament, and assurances to non-nuclear weapons States that they will not be attacked or threatened by nuclear weapons. The introduction by Russia and China of a draft treaty to keep weapons out of space does not alter one iota the current plan to break the deadlock in the CD. Foreign Minister Lavrov made it quite clear when presenting the draft text that it had, as he put it, a "research mandate" and that it would "not add any complications to achieving a compromise on the programme of work of the Conference." In his message to the Conference, Chinese Foreign Minister Yang Jiechi expressed the hope that the CD would "start substantive discussion and reach consensus on [the draft treaty] as soon as possible." Russia and China are not, as has been erroneously reported, calling for immediate negotiations on this draft treaty. Rather, they are proposing that it serve as a focal point for substantive discussions, with a view to negotiations sometime in the future. This is entirely consistent with the current plan to break the deadlock in the CD. This is why the strong negative reactions to the Sino-Russian proposal reported coming out of Washington are somewhat puzzling. After long opposition to holding even discussions on outer space in the Conference on Disarmament, the United States last year changed its position by deciding that it would "not stand in the way of consensus" to break the deadlock in the CD. This essentially means that the U.S. would allow substantive discussions on outer space to take place as long as negotiations on a treaty on fissile material could get underway. All the Sino-Russian proposal does, really, is to provide a focus for the substantive discussions on outer space. The Washington Times reported that U.S. State Department Officials thought that "Moscow and Beijing are trying to upstage Washington with their draft." In fact, the U.S. draft treaty on fissile material and the Sino-Russian draft treaty on outer space are not in opposition to one another. The fact that these governments are sending very high-level people to the conference means they want to get things going. We’re at a rather decisive point where we either move onto substantive negotiations or back to more years of fruitless discussion. Insightful words indeed. Now who said that? 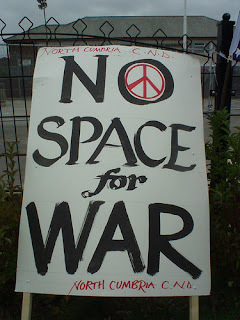 Photo Credit: "No Space for War" by pluralzed on flickr. We've had a very interesting start to the week on the disarmament front here in Geneva. On Monday, the Geneva Centre for Security Policy organised a Negotiation Day to analyse the state of the art of multilateral negotiation with the help of the PIN Group (PIN stands for 'Processes of International Negotiation'). Today, the Russian Foreign Minister, Sergey Lavrov, made a statement formally presenting the Conference on Disarmament with a draft treaty on the 'Prevention of the Placement of Weapons in Outer Space, the Threat or Use of Force Against Outer Space Objects' (PPWT). The same question ran through my mind at both events: How can multilateral negotiation processes best deal with deadlock when it occurs? In other words, when parties to a multilateral negotiation find themselves in a mutually hurting stalemate but cannot find an obvious way out, what options are open to them? Moday's negotiation day offered a number of mostly theoretical answers that focused mainly on diluting or re-interpreting the consensus rule in order to allow for more fluid decision-making. This may seem like a good idea but, unfortunately, is not always practicable. In the case of the Conference on Disarmament, for example, this strategy simply won't work since the consensus rule is formally enshrined in the Conference's rules of procedure. Changing these rules to allow for majority decision-making would itself require consensus; an impossible prospect given that the States likely to be marginalised by such a development would never support it. In any case, the consensus rule in the Conference on Disarmament did not come about by accident. It is similar in some respects to the veto power of permanent members of the UN Security Council insofar as it reassures the larger powers that the Conference cannot agree disarmament or arms control measures against their respective wills. Whereas only 5 States wield vetoes in the Security Council, however, in the Conference on Disarmament all 65 member States do so. The presence of Mr. Lavrov in the Conference on Disarmament today provided a more practical illustration of another strategy that may be used to overcome deadlock in multilateral negotiations - bringing in the big guns to apply a high-voltage defibrillator to what some describe as a moribund body (clear!). Mr. Lavrov is just the latest in a stream of top-level officials to have passed through Geneva in recent weeks in an attempt to revive the Conference. Last week it was the UK Defence Minister, Des Browne, and the Administrator of the US National Nuclear Security Administration, Thomas D'Agostino. The week before that it was UN Secretary-General Ban Ki-moon who delivered a particularly frank call for the Conference finally to begin negotiating. Nor is Mr. Lavrov likely to be the last high-level official to stop by Geneva in an attempt to get things moving again. But there is also a third strategy for dealing with deadlock in multilateral disarmament negotiations and that is changing the forum in which the negotiations take place. This strategy may not always work, but there is evidence for its effectiveness in some cases. The most obvious example is the Anti-Personnel Mine Ban Convention. When the best that States Parties to the Convention on Certain Conventional Weapons (CCW) could do in 1996 was to agree to regulate, not ban, the use of anti-personnel mines, this led a small group of States and the International Campaign to Ban Landmines to take the negotiations out of the United Nations. By the following year, this stand-alone process produced a treaty banning anti-personnel mines that today has 156 States Parties. A similar thing has recently happened with cluster munitions. Again, it was the inability of States Parties to the CCW to agree a negotiating mandate that would address the humanitarian impact of cluster munitions that led Norway at the end of 2006 to invite interested States to Oslo to begin a stand-alone process to negotiate a treaty banning cluster munitions that cause unacceptable harm to civilians. Over 80 States now subscribe to the Oslo Process, over 110 are registered to participate in its next meeting in Wellington, New Zealand (next week) and a diplomatic conference in Dublin at the end of May will negotiate a new Cluster Munitions Convention. In the meantime, the CCW has also been spurred into action and has agreed a negotiating mandate, albeit a vague one, on cluster munitions with the result that, from nothing, we now have two parallel negotiating processes on this issue. Interestingly, a similar strategy of changing the venue of negotiations has also been tried out on the Conference on Disarmament. In 2005 at the UN General Assembly's First Committee on disarmament and international security, a group of States proposed to create ad-hoc committees in the General Assembly that would essentially do the Conference on Disarmament's work until such time that the Conference was in a position to do so itself. Unsurprisingly, the idea did not go down well with the Permanent Members of the Security Council and the proposal was withdrawn, albeit with the proviso that it might be re-introduced at a later date if there was still no progress in the Conference on Disarmament. That was over two years ago and the Conference on Disarmament is still deadlocked. Time to try another strategy perhaps? Any bright ideas out there? 2008 is shaping up to be the international year of the cluster munition. There are not one but two multilateral process underway to try to address the weapon's humanitarian effects. There is work to "negotiate a proposal" on cluster munitions in the UN Convention on Certain Conventional Weapons (CCW). And there is a free-standing "Oslo Process" that emerged early in 2007 following the Norwegian Foreign Minister's decision to host an international conference in Norway's capital to kick-start efforts to ban cluster munitions that cause unacceptable harm to civilians. Over the past year, Disarmament Insight has provided commentary on both processes, and will continue to do so in 2008. Many people have inquired with us about online resources on cluster munitions, and so we offer some suggestions below. To search our blog for commentary on cluster munitions, the easiest method is to use the search box at right, or click on a relevant word in the word cloud below it. Useful key words or phrases include "cluster munition", "CCW", "Oslo Process" and "humanitarian impacts". UNIDIR's website also has a lot of information on cluster munitions, both in French and English. For basic information about the Oslo Process, there is clusterprocess.org. For information about the CCW, visit the webpages of the Geneva Branch of the UN Office for Disarmament Affairs and follow the links. This is a useful source for CCW-related official documents, and there are also resources for other disarmament-related issues such as the Anti-Personnel Mine Ban Convention. The next meeting of governmental experts in the CCW's calendar is from 7 to 11 April. Before then, there will be a one-week meeting as part of the Oslo Process in Wellington, New Zealand. Official information, including on participation and logistics, is available here. Copies of the Wellington text, its draft declaration and explanatory notes are also available from the same source. For information about civil society activities connected with the Wellington Conference, check out the Aotearoa New Zealand Cluster Munition Coalition's website. The CMC's video press release for the Wellington Conference is worth watching. There is no 'one-stop shop' on cluster munitions on the web, but there are a number of useful sites - most of them, not coincidentally, facilitated by civil society organizations keen to see cluster munitions restricted or banned. A key site is that of the international Cluster Munition Coalition, which is the nerve centre of civil society campaigning on the issue. Several of the CMC's members also post resources, including Handicap International, Human Rights Watch, Landmine Action UK, Mines Action Canada and Norwegian People's Aid. (Norwegian People's Aid has a great concrete-mixer destruction video.) There is also a new blog by the Ban Advocates project here. The International Campaign to Ban Landmines has also thrown its weight behind the effort. The International Committee of the Red Cross is active on cluster munition issues and has useful online resources from a humanitarian law perspective. And, to find out what the United Nations is doing and saying on cluster munitions issues, go here. Statements and national resources on cluster munitions can be harder to find. The United States government has a CCW delegation homepage, and its Office of Weapons Removal and Abatement features some national statements on unexploded ordnance-related issues. But with many other countries it is a case of combing through their foreign ministry websites. A good source of info about what delegations have said at Oslo and CCW meetings, however, is thanks to the hard-working Katie Harrison at the Women's International League for Peace and Freedom: WILPF's notes and reports on various cluster munition international meetings are perhaps the most comprehensive out there - if unofficial. Lastly, a video by the photographer John Rodsted we embedded into a post last May and shown earlier during the Oslo Conference - "cluster bombs that shouldn't exist" - is a must-see. These are just some of the resources out there to keep yourself informed on international efforts to address the humanitarian effects of cluster munitions. If you can think of some we've missed (and there must be many), please use the comment function below to bring them to our attention. I'll be in New Zealand at the Wellington Conference from 18-22 February. Tune in to the Disarmament Insight blog for some impressions of that meeting. 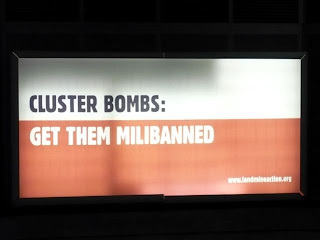 Photo of a Landmine Action UK public billboard at Westminster Underground Station in London, taken by author. Very subtle guys. UN meetings and conferences on disarmament and arms control are hugely expensive. Member States spend vast sums of money every year sending delegates to meetings in Geneva, New York and elsewhere and in housing and feeding them while there are there; often for extended periods of time. By way of illustration, the First Committee of the UN General Assembly (the one that deals with disarmament and international security) meets at UN Headquarters in New York for four whole weeks every autumn. The UN Disarmament Commission meets there every spring for three weeks. This year in Geneva, there will be a total of seven weeks of negotiations on cluster munitions in the framework of the Convention on Certain Conventional Weapons, albeit split into shorter sessions and spread throughout the year. The list goes on (for the full picture, see the Geneva Forum's 2008 disarmament calendar). On top of travel, room and board expenses, one must also count the high costs associated with translation and interpretation into the UN's six official languages; the cost of printing, copying and distributing countless paper pages; and the expense of paying the salaries of the UN officials who organise these meetings. All of these additional costs are also covered by UN Member States though their assessed contributions to the UN budget and, in some cases, through additional voluntary contributions. Given the sums expended, it is only natural to ask whether all of these meetings provide value for money. Do they contribute to increasing (or at least maintaining) international and human security? If so, by about how much per dollar spent? (an impossible question to answer, but interesting to ask anyway). The killer question, however, is; could the money needed to organise these meetings be more effectively spent in some other way to achieve the desired outcome? If the answer to this question is affirmative, then the meeting in question carries an opportunity cost rather than security benefit. It would be overly harsh, in my view, to apply this way of thinking to disarmament and arms control negotiations (or to discussions that are trying to lead to negotiations). Even when unsuccessful, good faith discussions or negotiations on new treaties or agreements are valuable in themselves because they can lay the groundwork for subsequent successful negotiations. The same cannot be said, however, of the discussions that take place among States on monitoring the implementation of agreements that they have already reached through negotiation. It is of these kinds of meetings that the most critical questions need to be asked. A case in point are the meetings of UN Member States that take place every two years to consider the state of implementation of the UN Programme of Action on the illicit trade in small arms and light weapons, a voluntary agreement dating from 2001 in which States agree to cooperate at the national, regional and global levels to 'prevent, combat and eradicate' the black market trade in guns. So far, two such biennial meetings have taken place (in 2003 and in 2005), each of one week duration at UN Headquarters in New York. Despite the best efforts of their respective Chairs, however, these meeting achieved little more than providing a platform to States to read long, general and, on the whole, self-congratulatory statements on how well they were implementing their commitments. NGOs participating on the margins of these meetings begged to differ. According to civil society, implementation of the small arms programme of action had barely begun and much more work remained to be done if States were to make any dent at all in the illicit small arms trade. After five years in existence, it is customary for multilateral arms control agreements to undergo what is known as a 'review,' i.e. not just an implementation monitoring exercise but a proper evaluation of the impact the agreement has made in the real world. UN Member States met in the summer of 2006 to review implementation of the UN programme of action on small arms; this time for two weeks in New York. Once again, there were many long, self-congratulatory statements by States, too little focus on identifying and addressing problems with implementation, and similar stinging criticisms from civil society (who, it must be said, also played their part in the downfall of the meeting by consistently pushing issues not included in the original agreement). To cap the whole exercise, States could not agree on a final document and so the meeting ended with nothing concrete to show for two weeks of work carried out by hundreds of people representing over one hundred countries. It is against this background that we approach a third biennial meeting of States that will take place in New York on July 14-18 of this year. The United States has decided not to participate in this meeting and was alone in the General Assembly last autumn in voting against it being held in the first place. Among its reasons, the U.S. State Department has mentioned that it would prefer to invest the rapidly growing pot of money it has earmarked for international small arms work in more practical endeavors; such as helping countries safely dispose of surplus small arms and light weapons and helping them to manage and account for their stockpiles of these weapons. In other words, one of the reasons the United States has decided to sit this one out is that it perceives the opportunity cost of biennial meetings as being simply too high. Moves are afoot to do something about this, however. Drawing lessons from the past, the Chair of the forthcoming biennial meeting, Ambassador Dalius Cekuolis of Lithuania, is embarked on an extensive round of consultations with UN Member States with the goal of turning July's meeting into an effective means of advancing implementation of the small arms programme of action. In an address delivered on Thursday to UN Member States in New York, he outlined some possible departures from past practice that would go a long way towards achieving this; including focusing the biennial meeting on a small number of priority issues and setting targets and goals for the future. Ambassador Cekuolis will try out some these ideas in Geneva tomorrow, during informal consultations with States here. So far, his words seem to be falling on receptive ears. There is a long way to go between now and July, however, and there will doubtless be calls from some quarters to continue doing things as they have been done in the past. Proposing to deviate from precedent in multilateral arms control processes is never an easy undertaking. Doing things differently is sometimes necessary, though, if only to make worthwhile the thing being done. 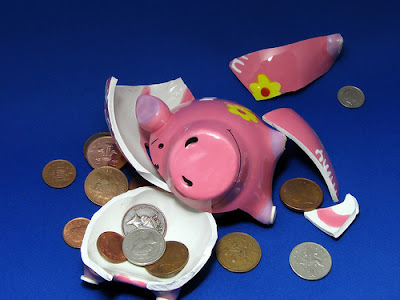 Photo Credit: "Piggy Homocide" by True Scot on Flickr.